I was curious one Wednesday, so I counted. From June 4 to mid-September, it had been just more than just fourteen weeks. 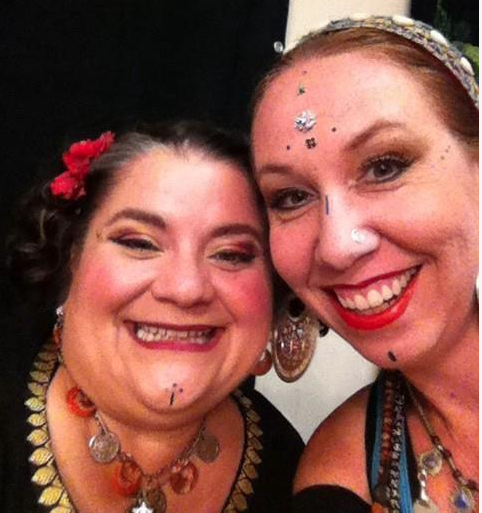 I originally posted about Making the Transition from full-time bellydance student to part-time instructor. Late in the evening on a Wednesday, I climbed into my car after three days in a row of teaching, exhausted and ridiculously happy. I hadn’t been that bone-tired in months, and I loved every moment of it. It got me to thinking about what it took to get here. There’s a passage in our Puja (our moving meditation) in which we express our thankfulness for “all the teachers” that have brought us to this point in our lives. Sometimes, it makes me think fondly of my piano teacher when I was in second grade; my private flute lessons from fifth grade through eleventh grade; my college percussion instructor; my college choral directors and orchestra directors. Without them, my musical training would not be where it is now. Other times, I’m reminded of the ballet classes when I was four; the jazz classes I was enrolled in during junior high and high school; the musical theatre movement classes in college. 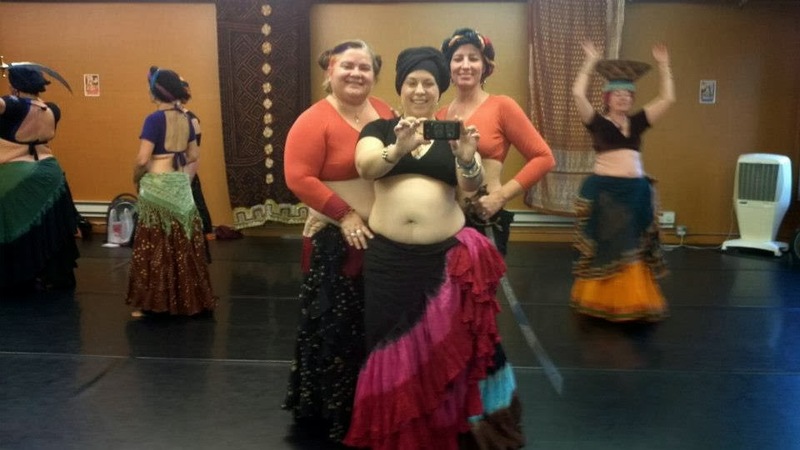 Then my bellydancing instructors figure large in my memory. 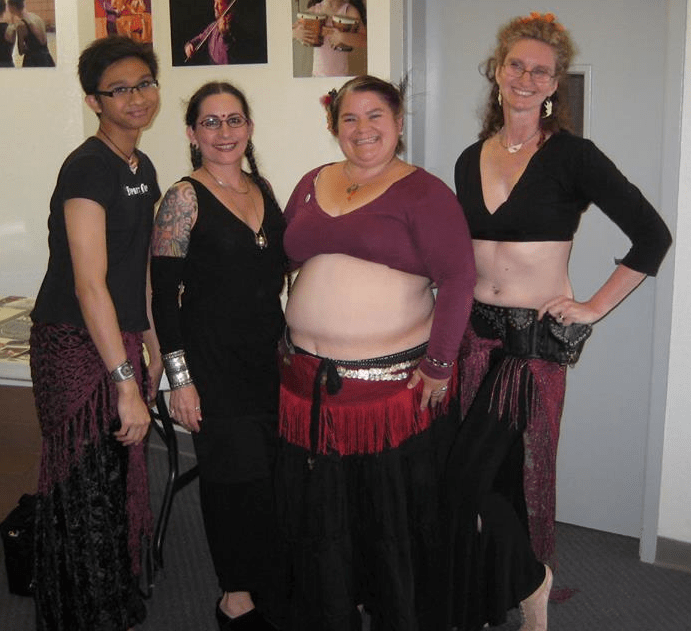 During my first experience with bellydance in college, I had the amazing good luck to study with Ansuya and then Alexandra King for a several years. The classes were held through the community courses at the college. Then for a while, I would ride the late night bus downtown to dance at Ansuya’s studio. I was in my twenties and had a fantastic time. But as I moved out of the area and had different family obligations, my dancing went on hold. By the end of 2010, I’d gone from one class per week to two. By December, I had a taste of dancing with other ATS dancers at a holiday party at a restaurant. 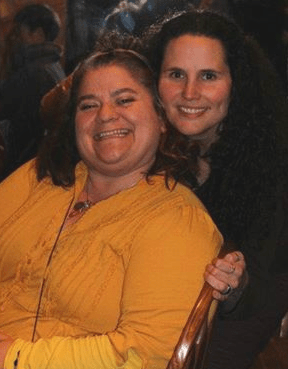 In 2011, I started studying Level 2 as well as taking classes from both Jen and Cassandra. In May, I was invited to join Jen’s student troupe, Gypsy Sisters*. In May, I also went to my first Tribal Fest, studying from Carolena Nericcio for the very first time. To say I was completely in love with the form by now would be an understatement. By the end of the year, I was dancing three times a week, almost thirty hours per month. 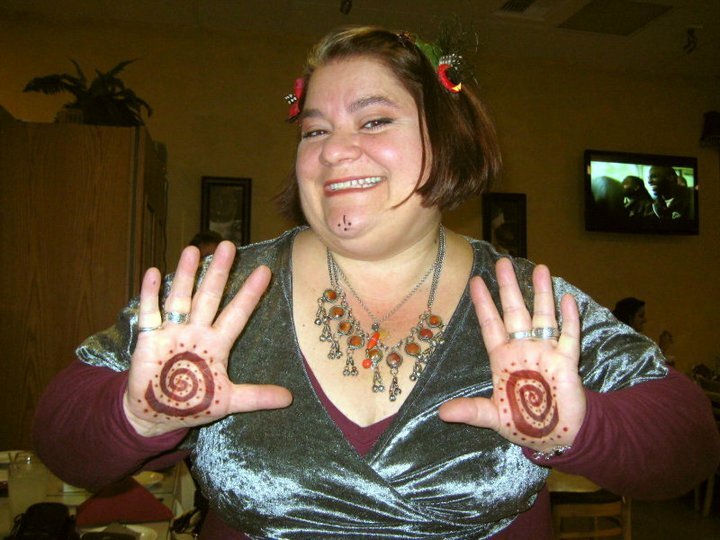 And my first Tribal Fest in 2011 included the first opportunity to take classes directly from Carolena Nericcio. Suzanne Elliott was also one of the instructors, another member of FCBD. Carolena with our 3-person dance group, Yuska, me, and Kathleen. 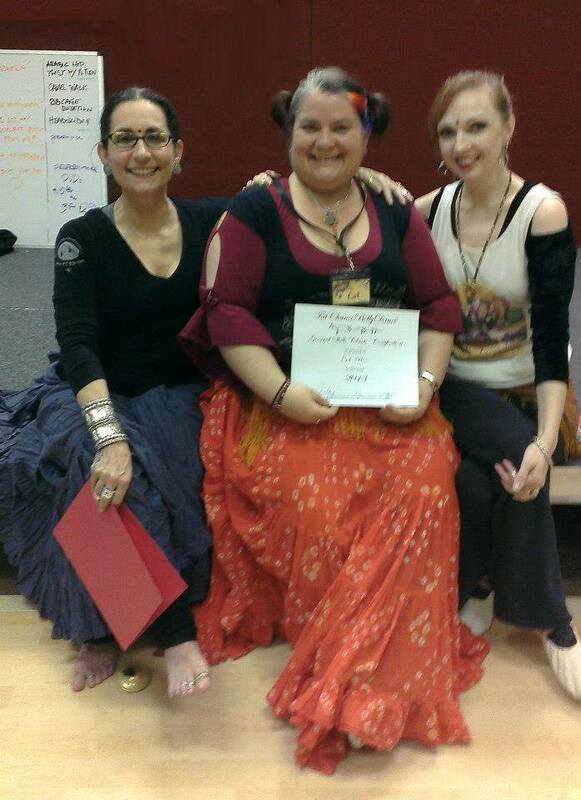 For this 3-day class at Tribal Fest 2011, the three of us drilled together. 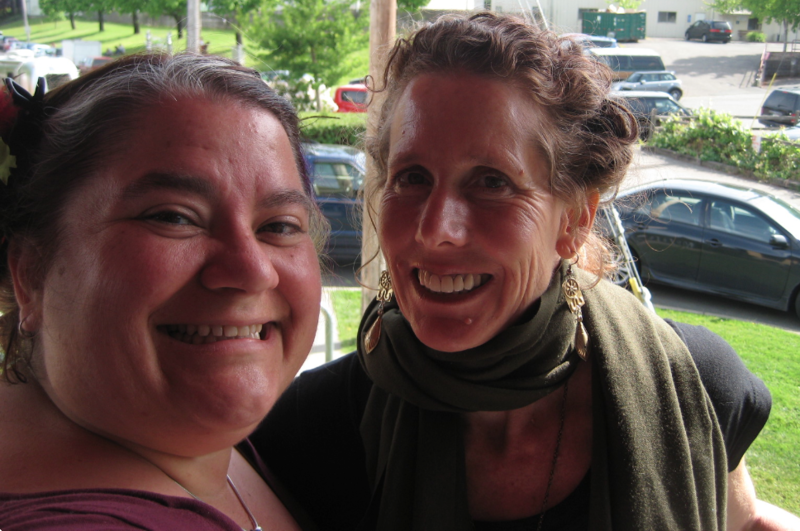 My other classes at TF2011 were taught by Therese Wyatt and Tribal Sooz. Love those women! By 2012, I was studying Level 3 from Jen McDonald. That summer, Nancy Young hosted an “ATS Summer Camp” on the weekends at her studio, giving me the chance to take lessons from Nancy Young, Politti Ashcraft, Laurie LA Tribal, Dana Johnson, Jennifer Thorimbert, and Leslie Thompson, as well as Jen McDonald. That was an AMAZING summer of learning, and I am so thankful to have such a rich community of ATS teachers in southern California. 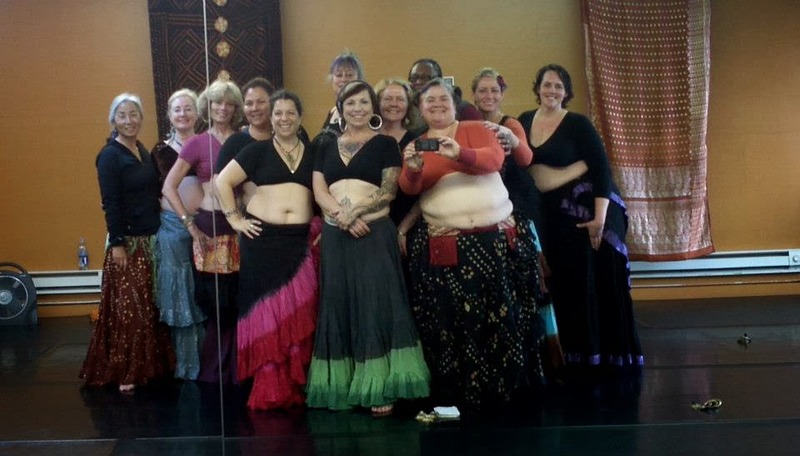 And by the end of the year, a large group of us went up to the FatChanceBellyDance studios in San Francisco to take a series of classes. 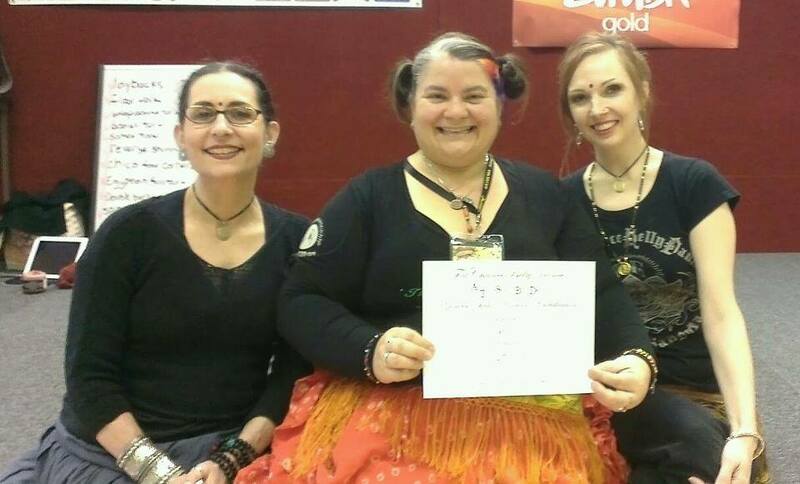 We studied with Kae Montgomery (FCBD), Wendy Allen (FCBD), and Carolena Nericcio. Classes at Tribal Fest 2012 included the amazing teachers: Kathy Stahlman, Therese Wyatt, Katrina McCoy, Bianca Stücker, Mimi Fontana, and Colleena Shakti. My instructors at Tribal Fest 2013 included another stunning line-up: Donna Mejia, Amel Tafsout, Jennifer Nolan, Mimi Fontana, Davina Tribal Collective, Elizabeth Strong & Dan Cantrell, and Jen McDonald. 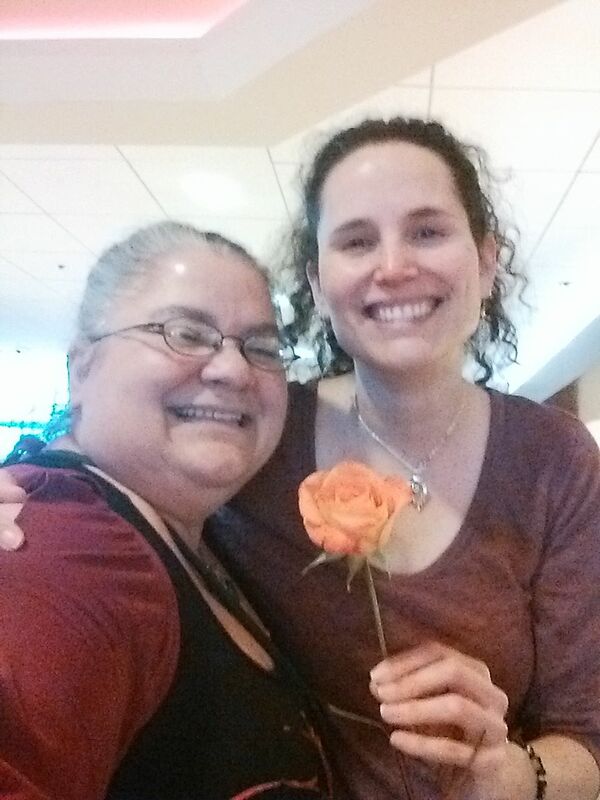 In April 2013, my General Skills course was taught by Carolena Nericcio and Megha Gavin. And an earlier class this summer was taught by Melanie Campbell, her first teaching opportunity. What a wonderful way to share our “launch into teaching” season together. All this to say that the Legacy of Teachers in my life has been very rich. I am extremely thankful for you all. * I retired from Gypsy Sisters in June 2013. I love those women, miss them, and wish them all the best in all their performances. It was an amazing experience I will always treasure.